Apple announced two new smartphones today, which include the iPhone 5S and the colorful iPhone 5C. We are not going to compare the iPhone 5C with the 5S because it has the same hardware specifications as the 5. Below is the iPhone 5S vs iPhone 5 specs compared, before we start we would like to point out that if you visit the Apple Store you will notice they are not advertising the 2012 iPhone 5 anymore, so this means they are really pushing the two new phones they announced today. The new iPhone 5S size is 4.87×2.31×0.30 (Height/Width/Depth-inches), the iPhone 5 4.87 x 2.31 x 0.30-inches, and they both weigh the same at 122 grams. The display on the iPhone 5 is 4-inches with 640 x 1136 pixels (326 ppi pixel density) featuring LED-backlit IPS LCD, oleophobic coating, multi-touch and Corning Gorilla Glass. The iPhone 5S also has a 4-inch display with 326 ppi but comes with 1136-by-640-pixel and widescreen multi-touch display, and oleophobic coating. There is an A7 chip with 64-bit architecture and and M7 motion co-processor on the iPhone 5S, and the iPhone 5 features a dual-core 1.3 GHz Apple A6 CPU. The iPhone 5S promises to be 42 times faster than the original iPhone, with GPU up to 56 times faster. The iPhone 5S iSight camera has an 8-megapixel lens on the rear featuring 1.5-micron pixels, Æ’/2.2 aperture, True Tone flash, Sapphire crystal lens cover, Backside illumination sensor, Five-element lens, Hybrid IR filter, Autofocus, Tap to focus, as well as Face detection, Panorama, Burst mode and Photo geotagging. On the video side of things the new 5S features 1080p HD video recording with 30 fps, Slo-mo video and Improved video stabilization, it also has True Tone flash with the ability to record videos and take a photo at the same time, the video also has Video geotagging and 3x zoom. The front-facing camera on the 5S features 720p HD video recording, 1.2MP photos (1280 by 960), Backside illumination sensor, it also can do 3 Video Calling. The iPhone 5 has an 8 MP 3264×2448 pixels cam on the rear featuring LED flash 1.3 Âµm pixel size, touch focus, geo-tagging, face detection, panorama, HDR, as well as 1080p@30fps video with video stabilization. The front facing 1.2MP cam features 720p@30fps and face detection, the iPhoen 5S is the clear winner here. The base price of the iPhone 5S is 199.99 on the usual two-year contract, the same as the current iPhone 5 when it launched as we previously anticipated. The iPhone 5S comes with a new feature called ‘Touch ID’ and it is this that provides the fingerprint identity sensor built into the Home button. These are the main specs for now, we will provide a more detailed specs sheet for the iPhone 5S at a later date, we just wanted to pit the two together with the main specs. The iPhone 5S will be available on September 20th, you cannot pre-order this one, which means you have to wait until the 20th. 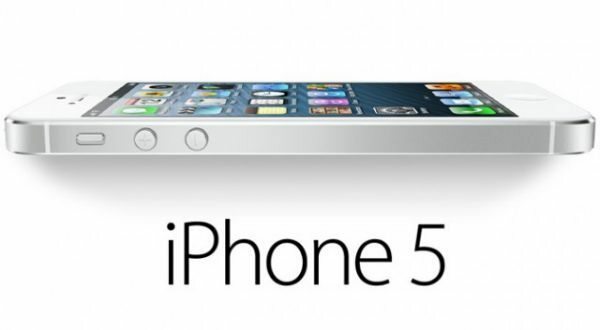 Are you interested in the new Apple iPhone 5S? You do realize that 640×1136 is the same as 1136×640?